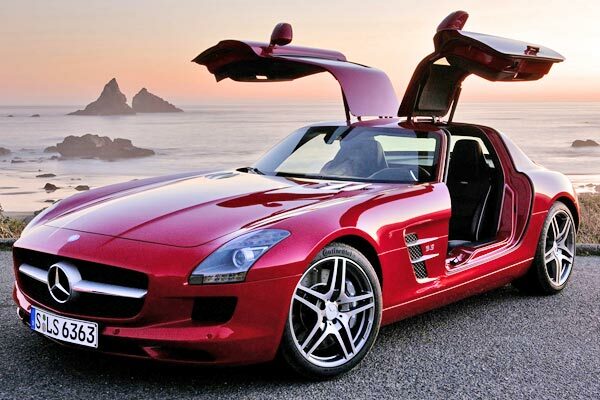 2013 MERCEDES-BENZ SLS AMG GT. Although this gorgeous Mercedes isn't part of the top 5 below as it isn't relatively cheap, it is part of our full list of the best cars of 2013. 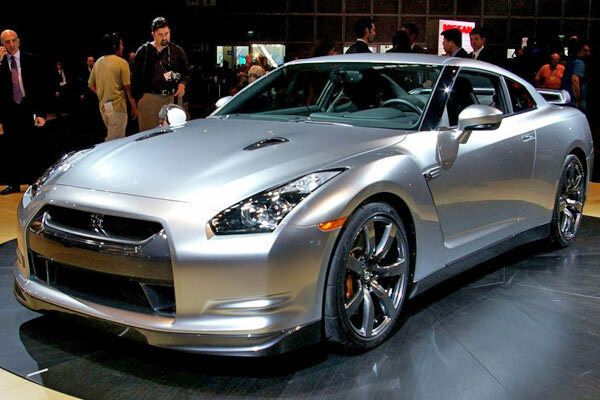 2013 NISSAN GT-R. Another sports that deserves to be in the list, but can't be in this article because of its cost, nothing less than $99,590. During 2013 we had a very busy year in the automotive world, with quite positive figures in the entire country with respect to new cars sales, and also it was a year in which many of the well-known global brands launched new models, while others were completely renewed, and it is impossible to deny that some automakers do not cease to surprise us with the evolution and the great work they are doing with their vehicles, in a matter of fuel economy, cutting edge technology and entertainment in general. In my personal list of the best cars of 2013, I have about 20 candidates, of which the majority are those sporty, exotic and luxurious, which occasionally make you think and tell to yourself with a sigh, I really would like to be able to buy at least one of them, such as the Nissan GT-R or the Mercedes-Benz SLS AMG GT for example. But going back to reality, and as at Autopten we look especially for those economical ones, I'll just tell you a little bit about the five most affordable of my list of the best cars of 2013. MAZDA MAZDA3. Mazda uses the Japanese term 'Jinba Ittai', the connection between the rider and his horse, to speak about the sensations offered by the Mazda3. For more information about this vehicle, please visit its official site. As far as design is concerned, the style of the new Mazda3 continues the KODO philosophy which adopted the brand with earlier models such as the Mazda6 and the CX-5. The huge grille and elongated headlights give to its body a sharp and aggressive look, specially in the front, while the beltline rises as it passes through the car, and the roof is kept as low as possible to achieve an excellent drag coefficient. The interior was also completely redesigned. Mazda engineers were able to design a more comfortable interior with a better volume. 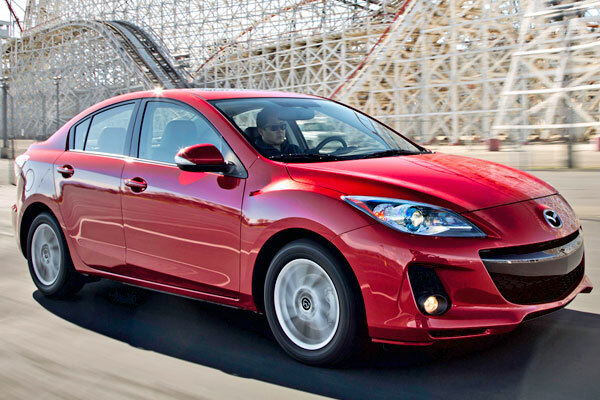 This new generation of the Mazda3 uses two four-cylinder engines with SKYACTIV technology. The smallest one is a 2.0-liter with 155 horsepower and the largest is a 2.5-liter with 188 horsepower. Both can be mated to a manual or automatic 6-speed gearbox. FORD FIESTA ST. The sporty ST is the most powerful version of the small Ford. The integration of all cosmetic additives is excellent and nothing is perceived as forced or artificially added. For more information about this vehicle, please visit its official site. 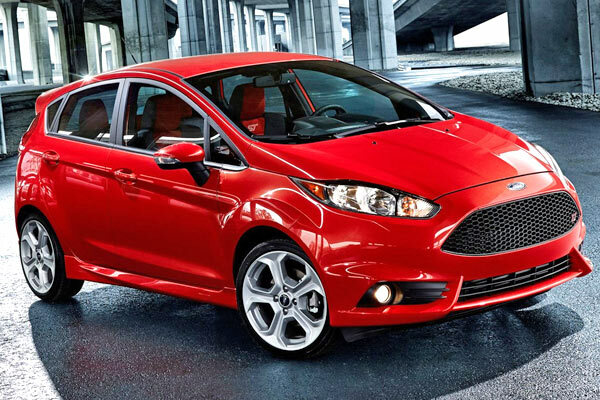 The new Fiesta ST has everything you look for in a hatchback. It is compact, economical, fast, very fun to drive and the perfect car for carrying a small family, like all compact hatchbacks. The Fiesta ST feels like a Focus ST in reduced version, which is quite good. The chassis is very well balanced and the type of equipment reminds us that it is a sports car that doesn't sacrifice too much the comfort and practicality. The 1.6L four-cylinder engine, is one of the greatest strengths of this car since it delivers an exuberant quantity of 197 horsepower and is mated to a 6-speed manual gearbox. FORD MUSTANG GT. 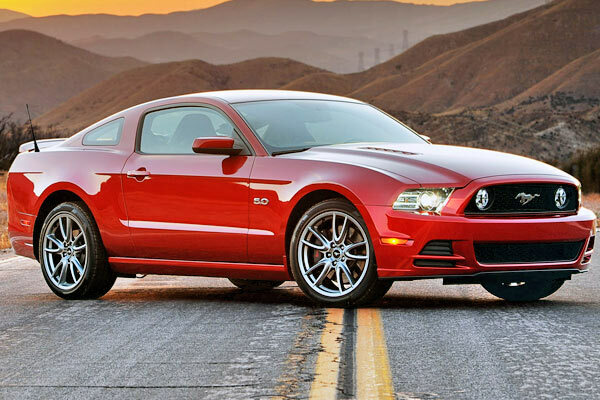 The Mustang 2013 has a new and more refined exterior design which achieves a more modern look. It also features technological advances to improve the driving experience. For more information about this vehicle, please visit its official site. The next chapter in the life of the Mustang began when it was introduced simultaneously in six cities across four continents. The GT version continues to use the 5.0-liter V8 engine but with new valves and cylinders to deliver 420 horsepower. A new intake system improves emissions and fuel consumption at low speeds. There is also a version with 4-cylinder EcoBoost engine that develops 305 horsepower, and the 3.7-liter V6 version with 300 horsepower, so there is a Mustang for every taste. The new car is lower and wider, and takes many elements from the previous version. The long front and aggressive rear remain unchanged from the original, as well as the trapezoidal grille with the Mustang logo. The traditional round headlights are smaller and are located behind a chiseled front while the traditional rear lights are now three-dimensional and are placed under the rear deck. 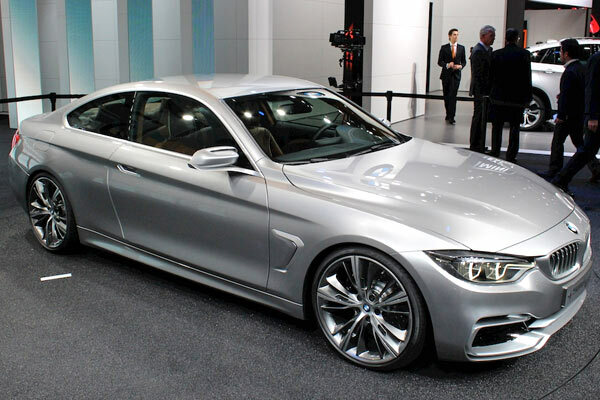 BMW 428i COUPE. The new 4 Series is the first representative of the fourth generation of the sports coupe corresponding to the midsize premium segment. The number 4 indicates that a new Coupe era has begun, enhancing its own design. For more information about this vehicle, please visit its official site. Compared to its predecessor, the new BMW 4 Series Coupe has a longer wheelbase, and the axle track width is also greater. Additionally it is lower, so its center of gravity is located below 500 mm height, which means that it is the vehicle with the lower center of gravity of the all BMW range. The BMW 4 Series Coupe is available with a six-cylinder gasoline engine (BMW 435iA Coupe) and another of four-cylinder (BMW 428iA Coupe). All the engines are equipped with the latest BMW TwinPower Turbo technology, covering a power range from 245 to 306 horsepower. CADILLAC CTS. Cadillac has had to improve its product line to give the fight and retake a place in the group of premium manufacturers. For more information about this vehicle, please visit its official site. 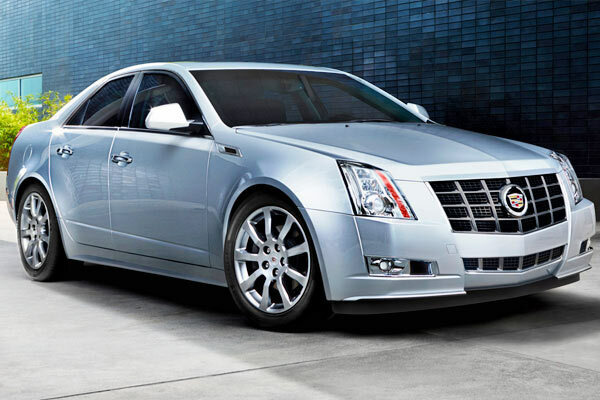 Cadillac has updated the exterior design of the new CTS, almost equating to the models of the German luxury carmakers. It has also increased its length and reduced its height and weight to enhance performance. Cadillac and GM have a big stake in the third generation of the CTS since this model represented last year the 31% of sales in the U.S. of luxury brands. GM is also seeking that the new CTS be able to compete with German luxury brands in emerging economies, especially in Asia. The all-new Cadillac CTS will be marketed with the new 3.6L V6 engine generation, which develops an estimated of 321 horsepower, and a torque of 275 ft-lbs. It also comes equipped with an eight-speed automatic transmission with new paddle shifters, being the first time that General Motors makes a transmission with these characteristics. You're probably not agree with me, and you have better candidates, if so, I invite you to share your opinion on which or what were the best cars of 2013. Other in my personal list I didn't mention are: Alfa Romeo 4C, Range Rover Sport, Porsche 911 Turbo S, Jaguar F-Type, Porsche 918 Spyder, Ferrari F12 Berlinetta, Lamborghin Veneno, Ferrari LaFerrari and the McLaren P1, all of them dream cars.